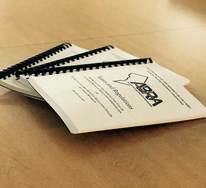 The Alcoholic Beverage Regulation Administration (ABRA) received the Innovative Alcohol Law Enforcement Program of the Year award on Aug. 23 from the National Liquor Law Enforcement Association (NLLEA). 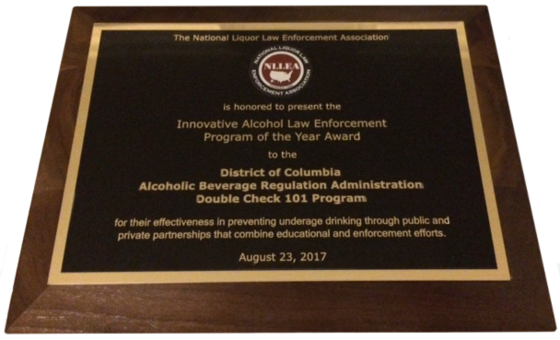 The award recognizes ABRA's DC: Double Check 101 program, which utilizes a dynamic approach to preventing underage drinking. Since ABRA established the DC: Double Check 101 program in 2009, the agency has led a multi-pronged approach to combating underage drinking. As part of the program, ABRA investigators provide informational sessions at local colleges, universities and youth groups to educate minors on the risks of underage and binge drinking. In addition, the agency works with program partners from local colleges and universities, which provide informational tips to ABRA on establishments suspected of selling alcohol to minors. ABRA utilizes the information to target establishments for sale-to-minor investigations. Between 2010 and 2016, ABRA conducted 7,321 sale-to-minor compliance checks at alcohol-licensed establishments across the District. Of those checks, the agency identified 886 sale-to-minor violations. A business that violates sale-to-minor laws could face fines, penalties, suspension or the revocation of its liquor license. NLLEA President James Jones, Jr. recognized ABRA as the ideal recipient for the award for its successful practices and effectiveness in combating underage drinking. This is the second time ABRA has received an NLLEA award. In 2009, ABRA was recognized for its special licensing, education and enforcement initiatives during the 56th Presidential Inauguration. Complete details of the DC: Double Check 101 program can be found on ABRA's website. 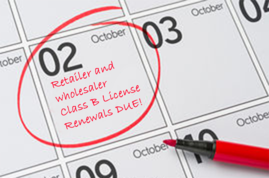 All class B licensed off-premises retailers (beer and wine stores) and wholesalers in the District are due to renew alcoholic beverage licenses by Monday, Oct. 2. Licensees should check their mail for notices delivered in late August, which will include a renewal application that must be completed and returned to the Alcoholic Beverage Regulation Administration (ABRA). A license can be renewed any time after receiving the application in the mail and before the Oct. 2 deadline. License renewals must be done in person at ABRA's office between 8:30 a.m.-4 p.m., Monday-Friday. The office is located at: 2000 14th St., NW, 4th Floor, Suite 400, Washington, DC 20009. In order to avoid long lines, licensees are encouraged to submit renewal applications to ABRA as early as possible. Renewal applications not returned by the deadline will be subject to a late fee of $50 per day—not to exceed the cost of the license—and cancellation. Complete details are available on ABRA's website. Approximately 185 restaurants, bars, nightclubs and hotels in the District will be able to stay open later during Labor Day weekend this year. Licensees registered for the extended holiday hours program are eligible to extend hours beginning Friday evening on Sept. 1 through the morning of Monday, Sept. 4. Enrolled licensees are required to end alcohol service each morning by 4 a.m. unless an establishment is required by the Alcoholic Beverage Control Board to close earlier. On-premises licensees that are interested in participating in the program can register by submitting a registration form at least 30 days prior to the first holiday an applicant wants to participate. Once a licensee is registered for the program, the establishment is eligible to participate in the program each year thereafter. 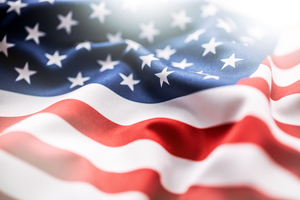 While the deadline has passed to register for Labor Day extended hours, there is still time for establishments to sign up for the Columbus Day holiday. The deadline to do so is Monday, Sept. 11. Licensees with settlement agreements or Board orders restricting operating hours may not be eligible to participate. The Alcoholic Beverage Control Board (Board) is seeking public comment on a proposal from the Dupont Circle Citizens Association (DCCA) to extend the East Dupont Circle Moratorium Zone, which expired on Aug. 21, 2017. The Board will hold a hearing on the proposal at 11:30 a.m. on Wednesday, Sept. 20. Members of the public can visit ABRA's website for complete details. Established in 1990, the moratorium had been renewed five times and modified over the years. Under the most recent regulations, the moratorium limited the number of tavern and nightclub licenses that could be issued in an area extending approximately 600 feet in all directions from the intersection of 17th and Q Streets, NW. Restrictions included a cap of two licenses that could be issued to taverns and prohibited the issuance of any licenses to nightclubs. While the future of the East Dupont Circle Moratorium Zone is set to be decided, the Langdon Park Moratorium Zone has officially taken effect. 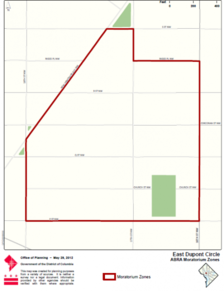 The moratorium limits certain alcohol licenses in an area extending approximately 600 feet in all directions from 2122 24th Place, NE. Within the zone, only three class C nightclub and multipurpose facility licenses are permitted. In addition, new entertainment endorsements are prohibited for restaurants and taverns in the area. The moratorium will remain in effect for three years. The Alcoholic Beverage Control Board (Board) is continuing to accept public comment on its proposed rulemaking that would make changes to the Civil Penalty Schedule, which determines penalties for licensees on specific alcohol-related violations. The Board held a hearing on Aug. 9 to receive comment on the proposal, which would add penalties for new violations created by the 2016 Omnibus Bill, as well as shifts in violation categories and warning requirements. In addition, new sections have been proposed to address managers selling alcoholic beverages directly to minors and those interfering with Alcoholic Beverage Regulation Administration (ABRA) or Metropolitan Police Department investigations. The Board will accept written comment up to 30 days after the notice is published in the DC Register. Submissions should include the full name, title, and organization, if applicable, of the person providing comment and may be submitted by either email or mail: Alcoholic Beverage Regulation Administration, 2000 14th St., NW, Suite 400 South, Washington, DC 20009. 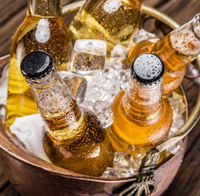 On July 26, the Alcoholic Beverage Control Board (Board) issued an advisory opinion on its new bottle service regulations to detail to licensees what is and what is not permitted under the new rules. Under the law, licensees are not permitted to allow any patrons to remove a bottle or pitcher from the table, bar or other seating area where served multiple containers of alcohol. The Board said in its opinion that the intention of the law is to prevent patrons from wandering around an establishment with large containers that hold multiple servings of alcoholic beverages. In addition, it is designed to prevent such patrons from using the bottles or other containers as weapons, diverting alcohol to minors, and/or unsupervised consumption of alcohol in a licensed establishment. The opinion clarifies that the removal of containers is not interpreted as patrons lifting bottles or pitchers off of the table to serve themselves. It also does not apply to patrons that were served at the bar but then moved to table service. In addition, patrons moving around their immediate seating area with a container, filling their cups and then leaving the area, or taking pictures with a container in the area will not constitute a violation. The Alcoholic Beverage Regulation Administration (ABRA) has a host of upcoming trainings for licensees and the public. ABRA invites hotel and restaurant licensees to attend a books and records training session on Tuesday, Sept. 19, 2017. Training will cover food sales requirements and reporting, quarterly statement filings, and books and records tracking. 2-4 p.m. (Korean interpreter available). Register by contacting ABRA Compliance Analyst Monica Clark by Friday, Sept. 15 by either emailing or calling (202) 442-4438. 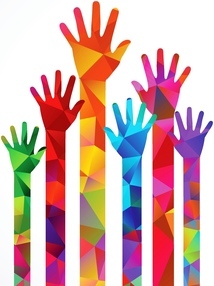 Residents and community organizations are invited to attend ABRA’s community training from 6:30-8:30 p.m. on Thursday, Oct. 26. Training will cover District alcohol laws, protest processes, filing settlement agreements, and ABRA resources and hearing processes. Contact ABRA Community Resource Officer Sarah Fashbaugh by Friday, Oct. 20 to register by emailing or calling (202) 397-3971. All trainings are free of charge and located at ABRA's office at 2000 14th St., NW, Suite 400 South, 4th Floor, Washington, DC 20009. The Alcoholic Beverage Regulation Administration's (ABRA) office will be closed on Monday, Sept. 4 for the Labor Day holiday. In addition, the Alcoholic Beverage Control Board (Board) will be on recess Wednesday, Sept. 6. ABRA's office will remain open and operate during normal business hours on Wednesday, Sept. 6. The Board will reconvene on Wednesday, Sept. 13.